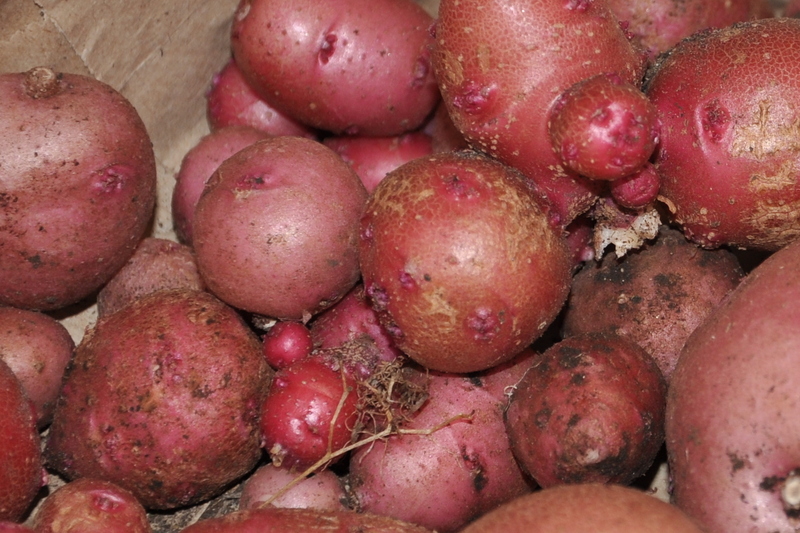 Potatoes remain a favorite, even though they’ve fallen from favor as a starch. Brown rice is tasty and so is couscous, but potatoes are my go-to comfort food. I love them. Still, I didn’t set out to grow them. For me, part of the fun of gardening is watching things grow. I love the wild trail of a pumpkin, the abundant tomatoes, and a myriad of flowers. Potatoes become potatoes under ground. 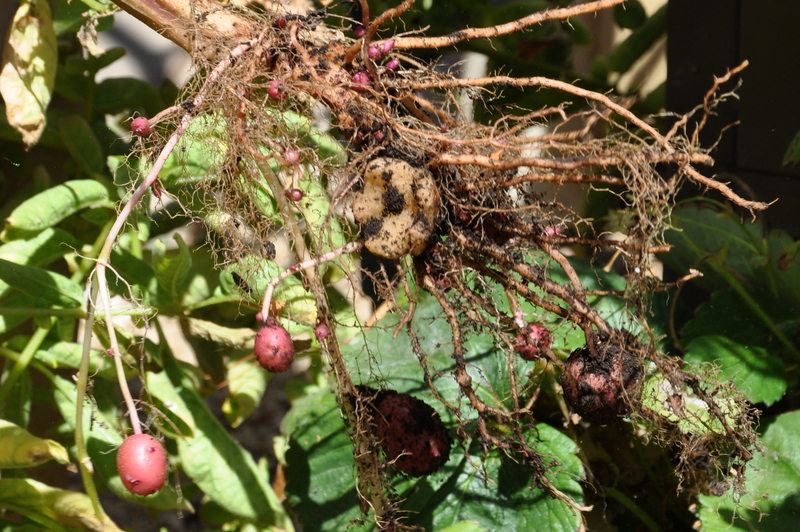 I tossed a few sorry-looking potatoes into the compost bin and nature took over. Who knew? Apparently they are pretty easy to grow. The industrious Fran at The Road to Serendipity advised me to leave them in place till they flowered. The plants passed the flowering stage and started producing fruit, which, incidentally, is toxic. I harvested the lot of them on Sunday and gave the harvest to my sister for her soup. She makes a big batch each week, then takes it for lunch. She’s a good cook with a small appetite so this will last her a week. You can buy ‘new potatoes’ at the market, so hopefully the tiny potatoes I sent home are equally tender and tasty. Unlike tomatoes, you can’t take a big bite and know right away if they’re good. Do you have a favorite starch? Is it one you grew up with or something you discovered along the way? What I say is that if a man really likes potatoes, he must be a pretty decent sort of fellow. It’s all coming together. 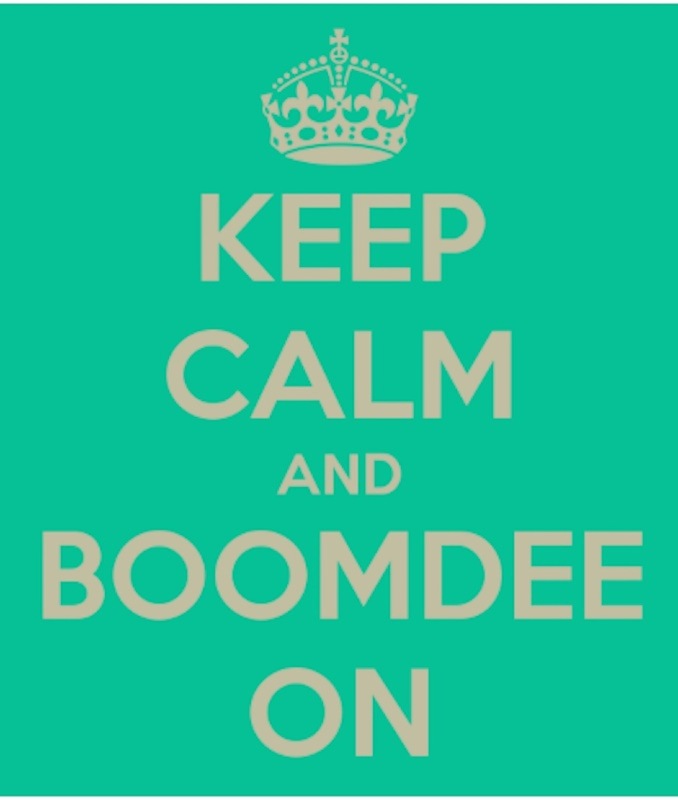 The Tumbling Composter I ordered online will arrive this week. My counter-top food scrap bin is almost full. There’s a bucket in the garage collecting spent flowers and the leaves on the Chinese Pistache are starting to turn! I’ll have all the ingredients for my first batch of compost. I looked at several varieties before settling on this model. My criterion was simple: It had to be portable, affordable and resistant to rodents. 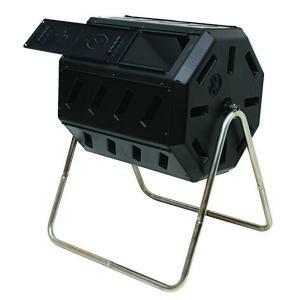 It’s constructed from recycled materials, also a plus, and the compact size is perfect for my small vegetable garden. 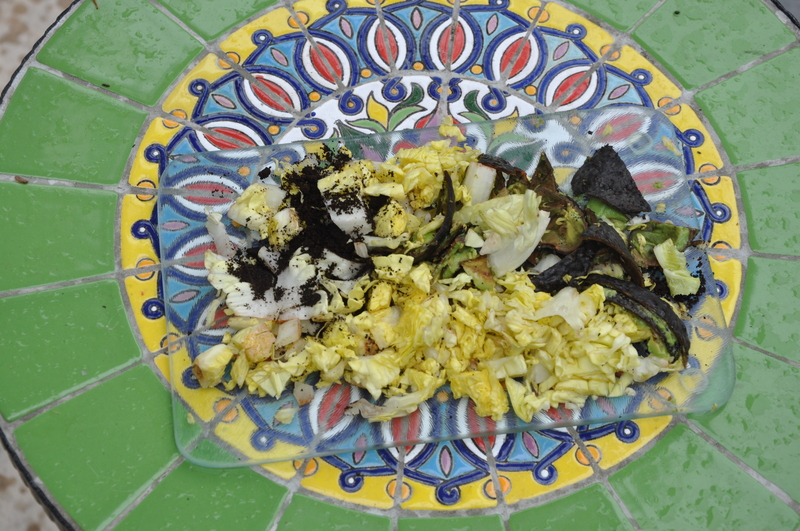 Composting turns your waste into a useful product—and it does so without requiring additional resources. 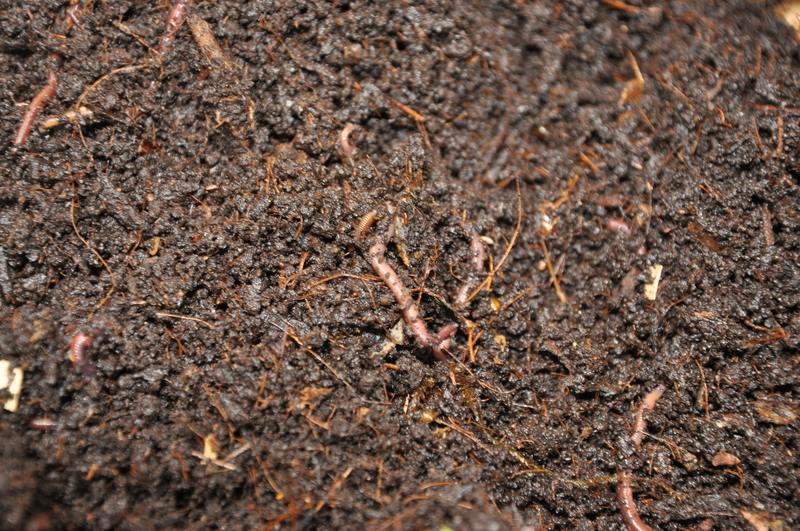 Using compost in your garden reduces the need for water and fertilizers and helps eliminate the need for pesticides. My friend and neighbor Howard stopped by last week carrying a small bucket in his hand. I was momentarily confused when he said he had something for me, and wondered what was inside. 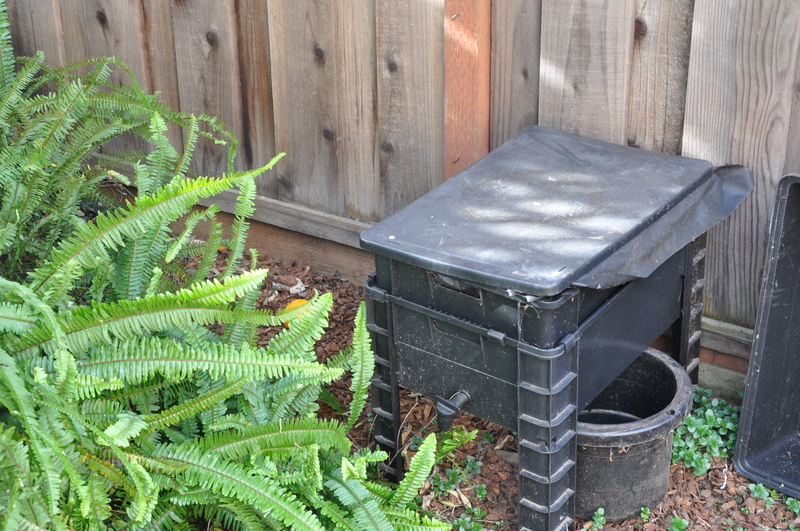 The “small bucket” turned out to be the coolest of inventions: a food scrap collection container, called a Sure-Close, to be used along with an outdoor composting bin! I’ve been talking about composting for years, and took an amateurish stab at it once, but this charming gift was the impetus I needed to get going. A vented lid to allow moisture to evaporate and feet on the bottom allow for airflow. A lid that stays open for easy filling, but stays closed if you accidentally drop it. They had me in mind when they added that feature. A lid that completely removes for ease of cleaning. I don’t know about you, but if something is difficult to keep clean, I’ll simply avoid using it. I like this feature. Several handles or grips. Many containers look nice but are difficult to use. 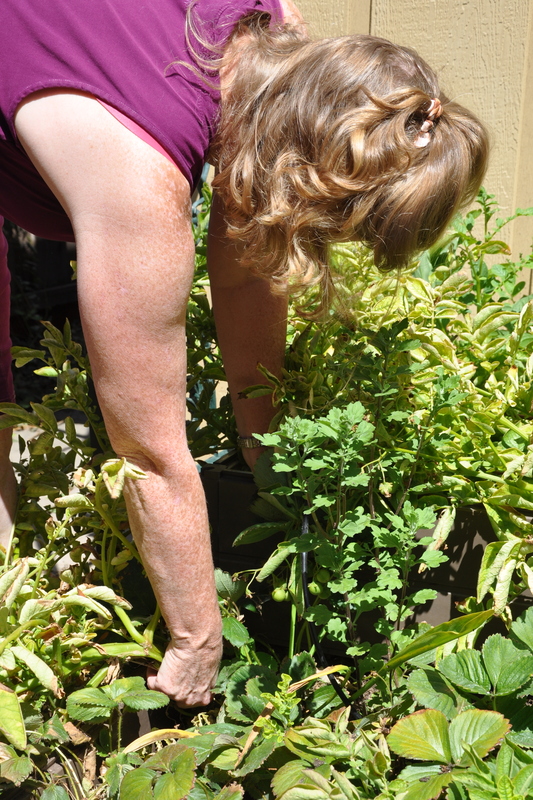 The Sure-Close has three different grips, so it’s easy to lift, move and empty into your outdoor composting bin. 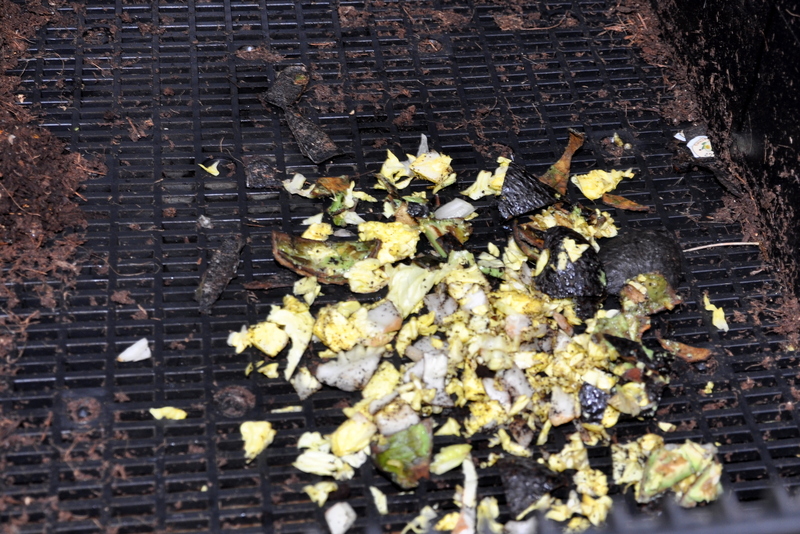 Most of the organic waste we produce comes from our kitchens as food scraps. A kitchen container that makes it easy for people to collect, store and transport their food scraps to the green bin goes a long way toward encouraging participation. For Ottawa’s Green Bin program, the city wanted a kitchen container with ventilation in order to allow moisture to evaporate from organic waste. Without the moisture, contents are less likely to smell. Enter the Sure-Close kitchen container. Developed by two Ottawa-based companies, designers DW Product Development, and manufacturer Ottawa Mould Craft, this little beige beauty brings high-tech design and engineering to your counter top. No more excuses. 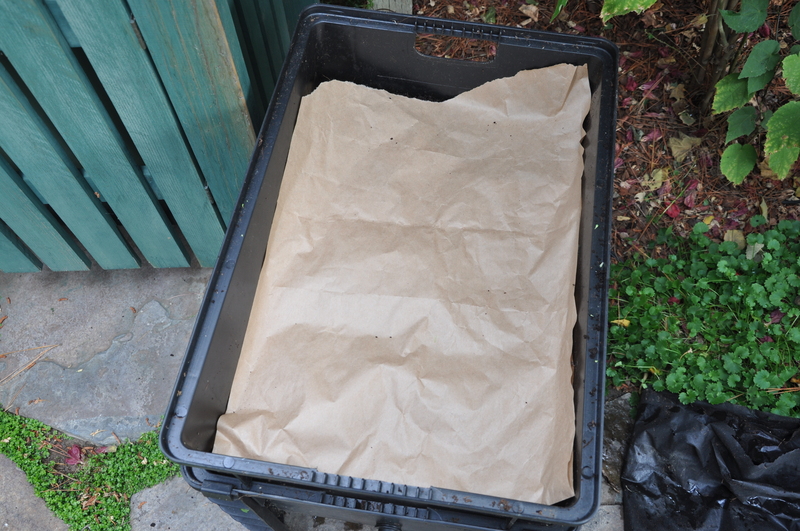 This will be gardeningnirvana’s year of the compost. I’m so excited. I jotted the following notes into a notebook two years ago so I would be ready to move from “accidental composter” to the real deal. 3 parts brown includes dried leaves, small twigs, etc. Add a small amount of moisture as needed and turn once a week. Take it all, throw it in a pile, come back in a year.